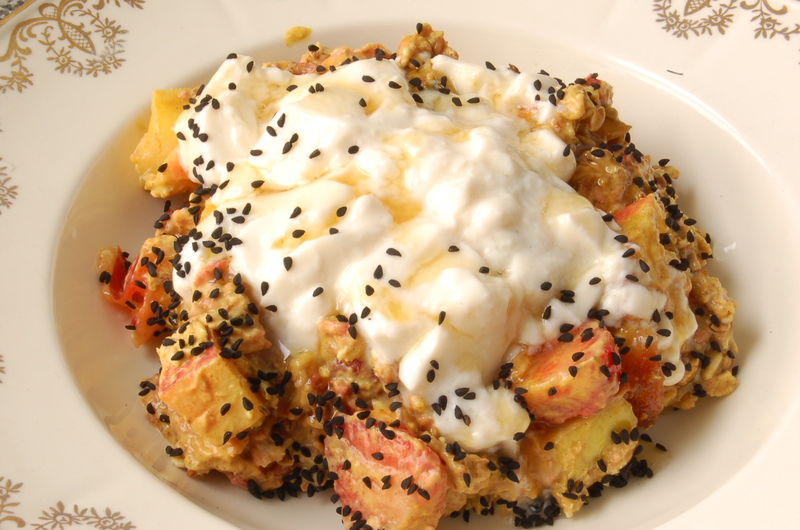 AS SALAAM ALAIKUM HONEYS, I WAS NOT ABLE TO PHOTGRAPH FOR YOU THE FINAL DISH FROM THE LAST 2 POSTS AS IT WAS LEFT IN THE FRIDGE TILL SUHOUR(PRE DAWN MEAL). I used to take my Suhur meals with my family and then hurry up for presenting myself for the (Fajr) prayer with Allah’s Apostle. The sunnah would be fulfilled by eating a small or large quantity of food, or even just by drinking a sip of water. Abu Sa’id al-Khudri reported that the Messenger of Allah said: “The pre-dawn meal is blessed, so do not neglect it even if you only take a sip of water. Verily, Allah and the angels pray for those who have pre-dawn meals.” This is related by Ahmad. WHICH FAJR IS AT 4.10 SO I SET MY ALARM FOR 3.45, I WAS TOSSING AND TURNING IN BED, ANXIOUS THAT I WOULDNT WAKE UP ON TIME AND FINALLY DECIDED TO GET OUT OF BED, IT WAS 3.59!!!!!!!!! !I HAD NOT HEARD THE ALARM ITS TOO QUIET. 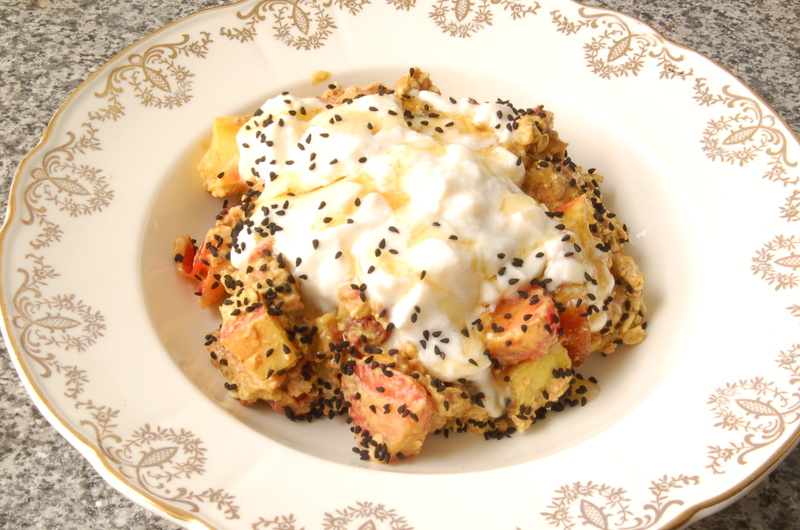 I MADE A QUICK DASH FOR THE KITCHEN AND ALHMDULILAH I HAS PLANNED AND MADE THIS FOOD, PLACE MUESLI MIX IN BOWL, ADD YOGHURT, DRIZZLE WITH HONEY AND SPRINKLE WITH BLACK SEEDS………..UP UP AND AWAY!!!!!! Can you post the link to the recipe please, if its not on here already.